Moving can be one of the most stressful things you’ll ever do. But it doesn’t have to be. Doing a bit of pre-move planning can be an effective way to make it a smooth process. Here are some helpful hints & tips to help make your moving process easy, so that you don’t have a headache, lose any underwear or misplace something special! No matter how far away the moving date is, it comes around quicker than you’d think! Having everything prepared already means you’re halfway there and slowly packing up until the moving date makes the job easier too. You can even use empty suitcases when packing – just remember to label what’s going into them! Just like the old proverb: Fail to prepare, prepare to be stressed during the move! Lists and labels – the two important L’s in moving. Make lists of all the different rooms you’re going to pack up and check them off once you’re done. These can be lists that you can progressively go through, checking each room off your list as you go through the home. Colour-coding them helps too, allowing you to distinguish between your belongings; for example, using blue for the bathroom and yellow for the kitchen. Plus, don’t forget to label which way is up! You’d be surprised how many times fragile goods are damaged through neglecting this small detail. Take or toss? That is the question. Moving can be a good time to declutter your home before you have a fresh start in your new place – out with the old! 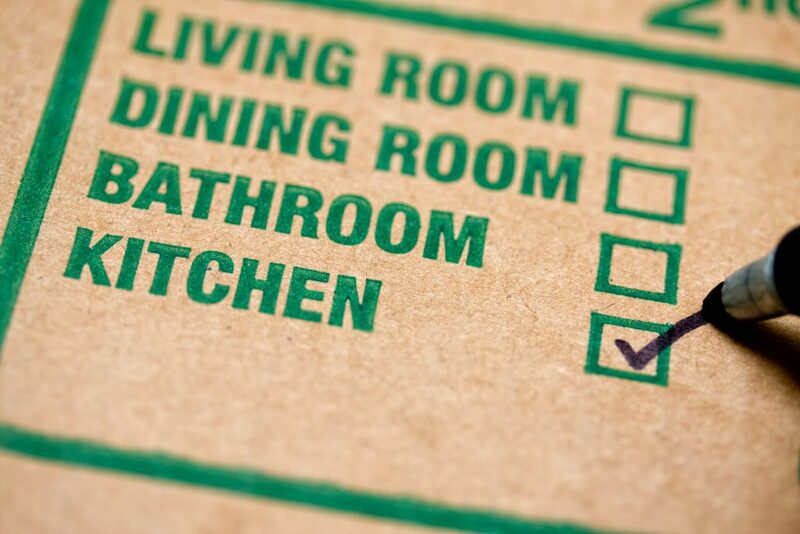 You can also designate boxes to stay organised whilst moving. You can label boxes with categories like: keep, store, sell and throw. Through decluttering, you can sort through all the belongings which you won’t need for moving and maximise the space in your new home. Packing from the top of your home and working your way down is more effective and it stops you getting caught in a sea of boxes. You can start with the hardest rooms at the top first, so the packing process is easier as the moving date gets closer. The attic is one of the hardest rooms to declutter, so with one of the most time-consuming areas all packed away, you’ll feel ready to tackle the next level of your home. Organising your removal van or men is important for you. If you’re moving a short distance, it can be easier to just hire a van to make trips. However, if you’re moving a considerable distance and need some extra help, organising removal men at an early date can save you some considerable money. On that note, always remember to shop around and compare, get detailed estimates from a few removal companies before deciding on one.